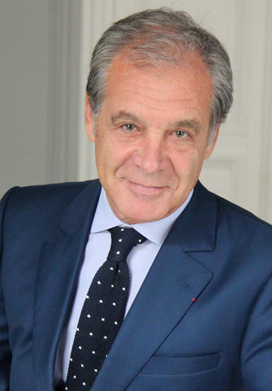 Gilles Remy, age 58, Chairman & Chief Executive Officer of CIFAL Groupe since 1995. Bachelor in law (1980), Master in private law (1981), Post-Master in public law (DEA – 1982) and post-graduate degree (DESS) in European business law (1983) from the Strasbourg School of Law. Gilles Remy is Founder and Chairman of the French-Turkmen Chamber of Commerce (CCFT), a French foreign trade advisor since 1994, and Vice-President of the Eurasian Committee in charge of the Central Asian/Caucasian region. He is also Founder and Chairman of OSCI, the professional association of companies specialized in international trade (a French federation). Official awards: Knight of the Legion of Honour. Awarded the order of Love of the Motherland (Turkmenistan). Welcome to CIFAL Groupe website. CIFAL is the longest and largest French international business and services firm operating in Russia and the Central Asian and Caspian region. Our core business is operational consulting and business support on international markets. As a skills integrator, we have successfully identified and engineered the financial and industrial setup for dozens of projects in more than 20 countries in the energy, infrastructure, transportation and high-tech sectors. CIFAL also offers a wide range of technical and industrial services that make us a stakeholder in project development, including in the execution phase. Over the past decade, CIFAL has leveraged its operational capability by expanding its operations to China, the Middle East and Africa, by acquiring interests in companies with similar or complementary activities. Fortunately, the political, diplomatic and especially economic outlook for 2019 is much brighter. All countries where we have operations will experience sustained growth. Throughout these hard times, CIFAL has maintained an active presence everywhere, and it will share the fruits of its steady investment in these countries with its partners.